AWeber’s email automation platform lets you engage subscribers with ease, boost sales and take back your time to do the things you love. Introducing action-based automation and segmentation. Be everywhere – AWeber's automation is your new superpower. Set up a sequence of emails to be sent automatically on a schedule of your choosing. Keep your readers engaged by delivering custom drip campaigns, like a welcome series, product launch series, customer onboarding series or an educational course. 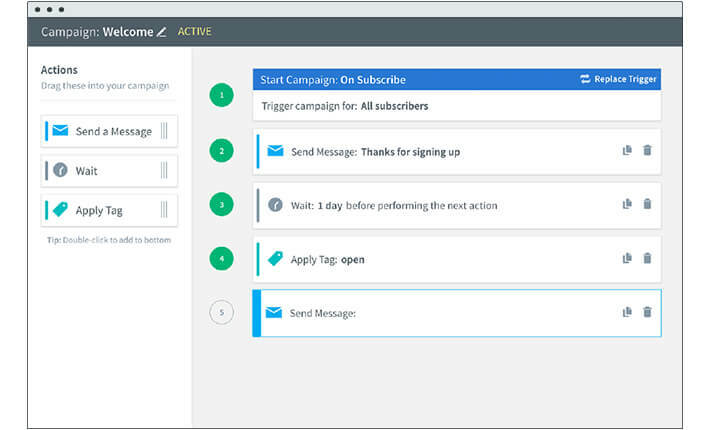 Send triggered email campaigns and tag subscribers based on their actions. Tag subscribers based on the emails they open and the links they click. Sending more relevant triggered emails empowers you to engage your audience, and transform passive prospects into loyal customers and advocates. Advanced automation has never been easier. Drag, drop, send – it’s easier than ever to automate. No need to pay expensive setup fees or hire consultants. Easily create automated sequences with AWeber using a simple drag-and-drop campaign builder. 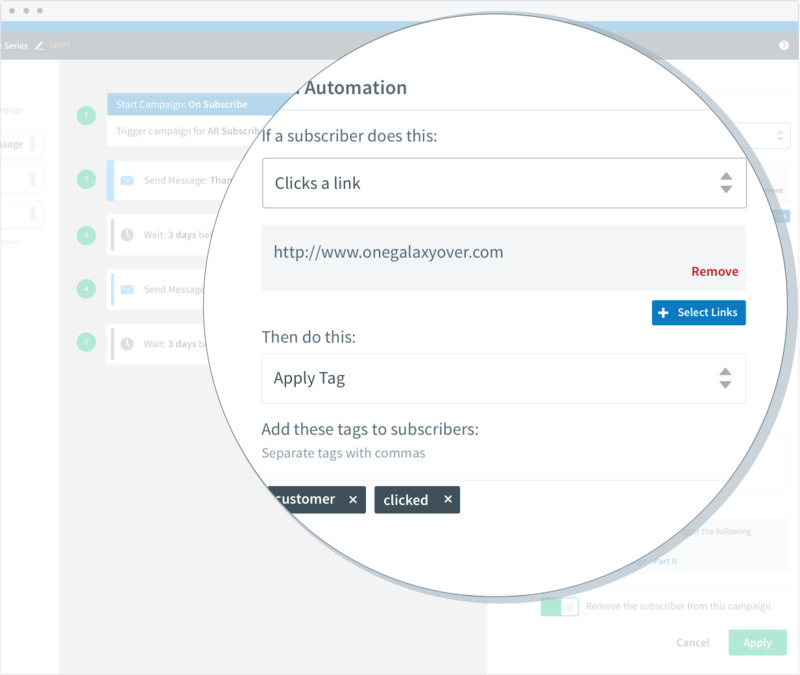 Add triggered automations based on the links your subscribers click and the emails they open. Advanced email automation doesn’t have to be confusing! Connect AWeber with over 731 integrations and services. Using integrations like Unbounce, OptinMonster, and Interact, you can build powerful workflows to attract subscribers, deliver effective emails and grow your business. All AWeber users get access to our new and improved automation platform, Campaigns, at no extra cost! 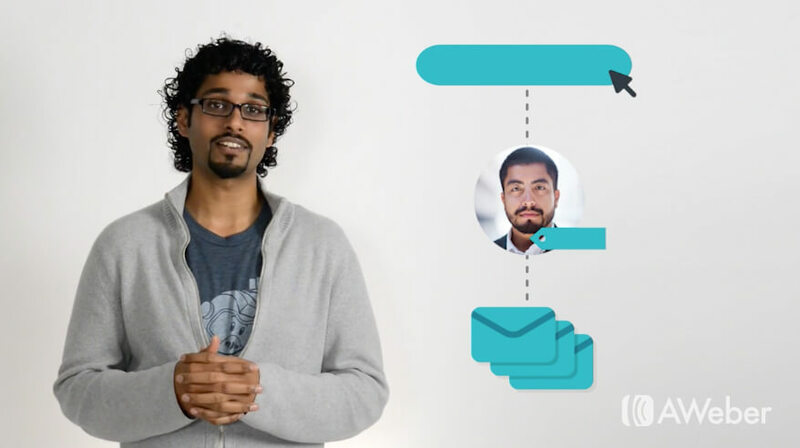 It’s now easier than ever to leverage professional automation and create multiple autoresponder campaigns in your account – without the costly setup fees or need to tinker with complex editors. AWeber users get exclusive access to live webinars, automation templates, master class sessions and more from our team of email marketing experts. Or, learn at your own pace by tapping into our massive library of video tutorials and blog articles.